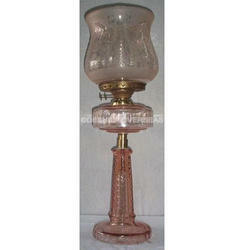 We are offering a wide range of Glass Oil Lamps, which is made from using optimum good quality brass. These are elegantly crafted by our expert artisans and can be used for decorative purpose and also add grace on various occasions. Available at market leading price. Give your abode a new appearance with Glass Oil Lamps that we bring to you. Use Glass Oil Lamps for all your interior decor needs. 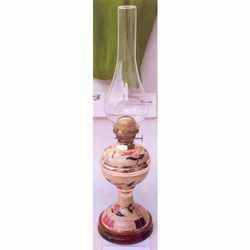 Affordable cost, splendid quality and exotic finish we offer all in one product Glass Oil Lamps. We manufacture and export Glass Oil Lamps at market leading prices. Handcrafted from Heat Resistant Borosilicate Glass or Laboratory glass . These can be lit with Oil like any metal lamp . These can resist sudden temperature changes. Beautiful reproduction of anchor lantern made of brass in shiny polished look. Oil burner is in great working condition and produce clear light through. Size: 4.50 x 4.50 x 5.50"